that best meets your need! These products have helped us …maybe they will help you! Dissolves most dried liquid adhesives…is Water Soluble & requires a water rinse to remove all residues. Designed to dry slowly and gives extra time to cover larger areas, its unique design allows it to bond to glue and then will bond to the oxygen molecules present in plain water to wipe away cleanly. Use at full strength…Apply, agitate (or wait) and follow with a water rinse, or wipe with a wet towel or sponge. **Test materials appropriately beforehand for compatibility. Dissolves most hot melt adhesives…is Water Soluble & requires a water rinse to remove all residues. Aggressive…Fast acting…Dries quickly and does not leave a residue. Simply apply, agitate (or wait) and wipe away clean. No residue left behind (no rinse needed)! Won’t damage floors, concrete, linoleum…safe on most every surface. **Test materials appropriately beforehand for compatibility – Not Water Soluble. Turn Liquid Adhesive spills into solid waste for better clean up. 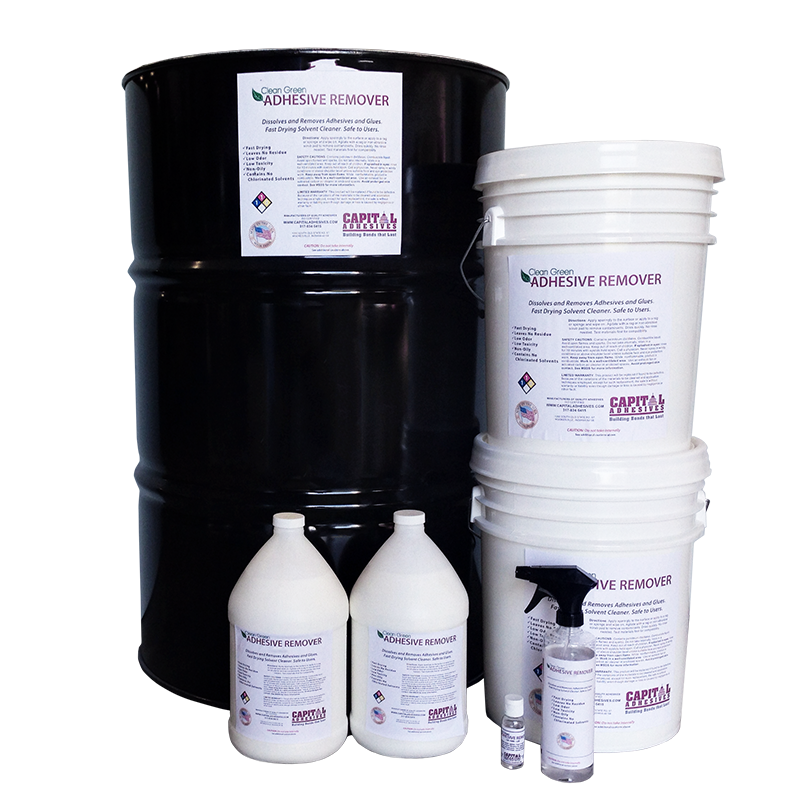 Provides a solid waste disposal alternative to chemical environmental waste removal. Spread around spill to contain, mix-in additional powder, wait until it becomes a solid (mix & agitate as needed). **Check local and state environmental regulations for disposal.